The excellent Art series of lenses from Sigma keeps growing. Today the company announced the latest addition to the lineup, the upcoming 20mm f/1.4 Art lens. This is the world’s first f/1.4 ultra-wide-angle lens for Full Frame DSLRs, which scores Sigma another nice win in the bragging rights department. It’s still soon to tell if this new lens will be any good, but if the rest of Art lenses is anything to go by, it’s probably going to be a stunner. Perhaps most interesting, though, is Sigma’s Mount Conversion Service, for which the new 20mm Art lens is eligible, along with the rest of the Art lenses and many others. This service means that, should you decide to change camera systems in the future, you’ll be able get your existing Sigma lenses converted from one mount to another by Sigma, enabling you to carry them over to your new camera system. As of today, you can only get conversions to and from mounts that Sigma has already released in the market, meaning you can get a 35mm f/1.4 Art lens converted from Canon to Nikon mount, for example, but not to Sony’s E-mount, because that lens isn’t available for the E-mount yet. These limitations aside, that’s still a fantastic service, and one that only 3rd-party manufacturers can offer. 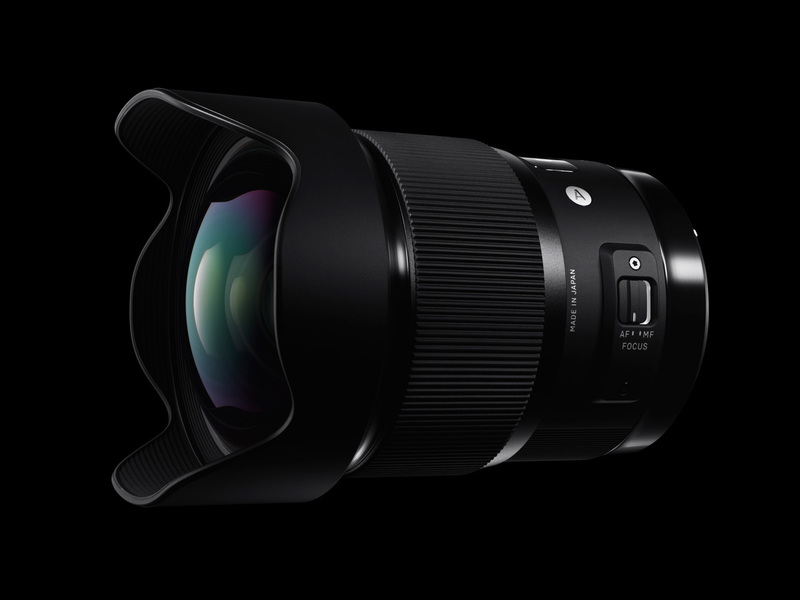 The Sigma 20mm f/1.4 Art lens will be available for Canon, Nikon and Sigma mounts in mid-to-late November for $899, which will surely make it a red-hot holiday item among all super-wide-angle lovers out there. It is already available for preorder at B&H.